According to J.B. Schneyer, Repertorium der lateinischen Sermones des Mittelalters ... (Münster, 1969) I pp. 114-22, the Sermones are not by Albertus Magnus. 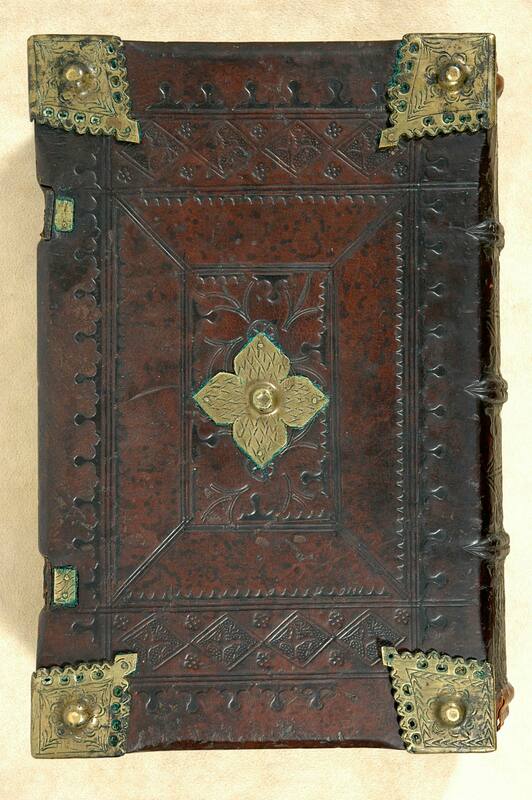 This edition contains 52 sermones de sanctis (cf Hillard). Bearer type visible on leaves /12v and /6v. Collation: [1¹² 2-25¹⁰ 26¹²]: 264 leaves, leaves /1 and /12 blank. Dated about 1476-79 by Hillard from the use of the type 119G. GW and CIBN date about 1478-80. First colophon (leaf Ciiir): Sermones notabiles [et] formales magistri Alberti magni ordinis predicator[um] de t[em]p[or]e et de sanctis per totius anni circulum. ac etiam bene registrati s[ummu]m alphabeti ordine[m]. Impressi per Joha[n]nem wienner in Augusta finiunt feliciter. Printed in Wiener's type 2:199G. Second colophon (leaf /11v): Sermones de tempore Alberti magni p[er] Johannem wienner Auguste impressi. Finiu[n]t feliciter. Title derived from register incipit (leaf /2r): Regist[rum] in sermones alberti magni de tempore et de sanctis. Contemporary Austrian blind-stamped leather over wooden boards (34.5 x 22 cm), sewn on 3 supports by the "Art Linz-Suben" workshop localized to Linz (EBDB w002889/S-S II, 156), active circa 1475. Plain paper pastedowns and fly leaves. 4 corner and 1 central boss on each board. 2 clasps, wanting. Quire guards made from multiple manuscripts. Hand decoration: Rubricated, some lombards unrealized (guide letters) but some sketched in with graphite or incised, red capital strokes, L-brackets with curls, and underlining. Annotations: No marginal notations in text save a few 18th-century notations at Sermo de tempore xlvi (leaves /7r-8v). Manuscript numerical quire numbers at bottom gutter edge. 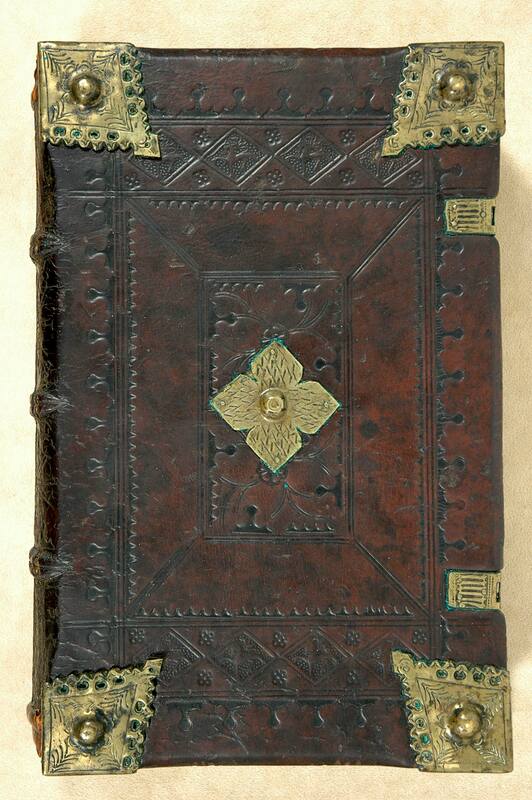 Lienz (Tyrol), Carmelite monastery, inscription: "Carmeli Leontini 1778" (leaf /2r) and shelf mark: B 60 (leaf /1r); Joseph Johann Oberhueber (1745-1824), armorial booklabel (front pastedown); George Dunn (1864-1912), Woolley Hall, Maidenhead, booklabel (front pastedown) and notes (leaf /1r); his sale, Sotheby's, 22 Nov. 1917, lot 1755, to Quaritch for Morgan; J.P. Morgan, Jr. (1867-1943), purchased Nov. 1917.